Preheat oven to 200°C (400°F). 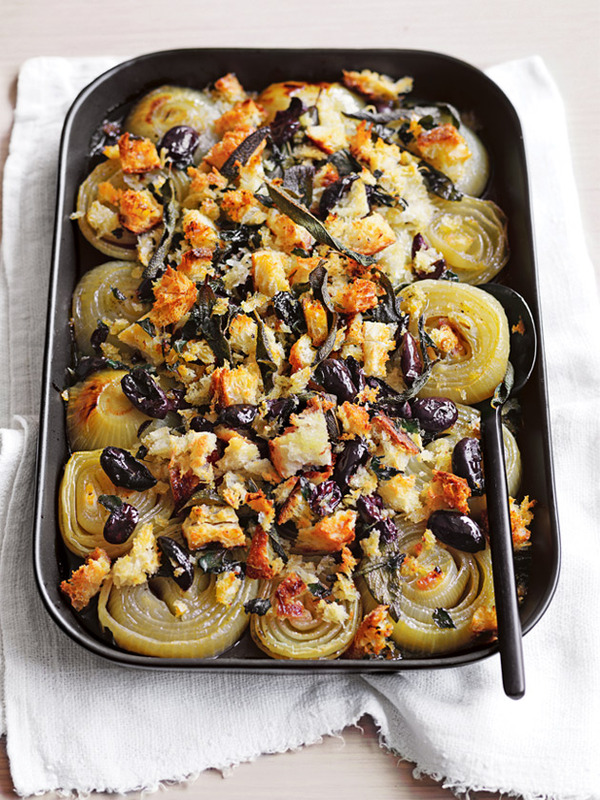 Place the onion, sherry, water, 2 tablespoons of the oil, salt and pepper in a large oven tray. Cover with aluminium foil and cook for 1 hour to 1 hour 30 minutes or until very soft. Remove the foil and cook for a further 10 minutes. While the onion is cooking, place the breadcrumbs, olive, sage, oregano, lemon and remaining oil in a medium bowl and toss to combine. Place on top of the onion and cook for a further 10 minutes or until golden. Serves 8–10.